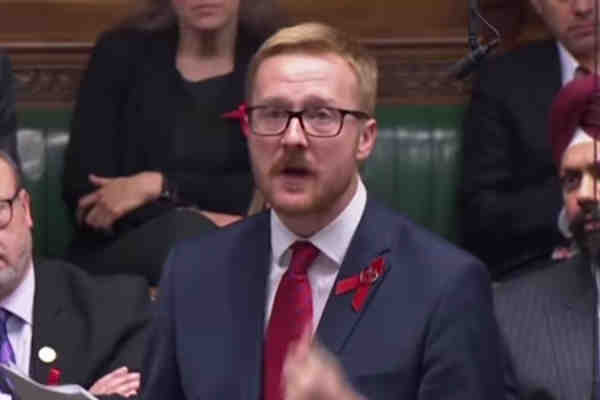 During an emotional speech to parliament on Thursday, British MP Lloyd Russell-Moyle revealed he is HIV-positive. The 32-year-old Russell-Moyle said that he received the diagnosis in 2009. “Next year I will be marking an anniversary of my own, 10 years since I became HIV positive,” said Russell-Moyle. “It has been a long journey from the fear of acceptance and, from today, advocacy, knowing my treatment keeps me healthy and that it protects any partner I have,” he said. Russell-Moyle, a member of the opposition Labour Party, said that he decided to come out to help mark World AIDS Day on December 1. “We have the ability to end new HIV transmissions as well as end stigma and discrimination, not only here, but globally, and I hope we can all make that our mission,” he added. Parliament members gave Russell-Moyle a standing ovation. Russell-Moyle is the second MP to disclose that he's HIV-positive. In 2005, former Labour Cabinet minister Chris Smith announced he was HIV-positive.